Like we said, the proposal isn't perfect, and it might not be the best format for every topic. Some topics are better served by proposals with in-depth outlines, while some work well with SuperPug's paragraph style. 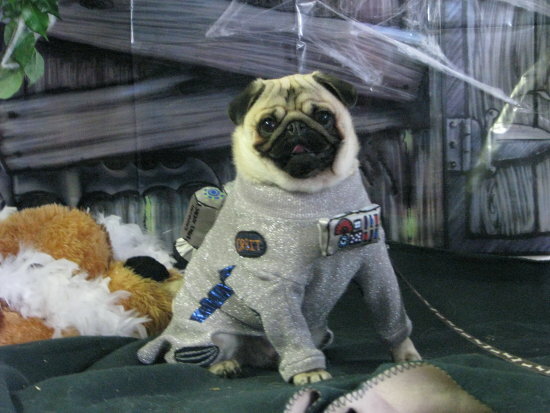 If you check out SuperPug, it even includes a small supplementary outline. Another sample proposal we're working on follows the in-depth outline format. With 31 days left to submit your tutorial and talk proposals for PyCon 2013, we hope you've thought about submitting a proposal or two. Hopefully the samples help you out! We're looking for all types of talks from all types of people with all types of experience, so everyone is welcome and wanted. The submission process is pretty easy, and it all starts at your dashboard (you'll be prompted to sign up if you haven't already). Once you're in, you need to fill out a speaker profile where you tell us who you are and what you're about. After that, you can submit as many proposals as you'd like! For more details on speaking at PyCon, check out our speaking resources under the "Speaking" tab on https://us.pycon.org/2013/. Our Call for Proposals, which runs through September 28, contains plenty of information on the types of proposals we're accepting.